Buying real estate is a big deal. Regardless of how well you think you know the market or how extensively you’ve researched, every property you settle is a massive milestone. That doesn’t mean every deal should be celebrated, however. We all make mistakes from time to time, and when it comes to property investing, your mistakes can be extremely costly in the long run. Enter, your safety net — also known as the buyer’s agent. 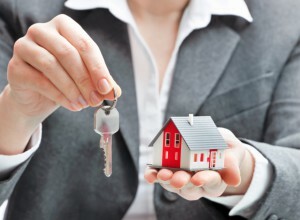 A buyer’s agent is a licensed professional who knows the ins and outs of the market. They act on behalf of the buyer to negotiate hard, research extensively, and generally make sure the best choices are made. In the interest of saving valuable time, a buyer’s agent can be an essential part of your property journey. In a nutshell, they spend time researching and then searching for the type of property you’ve got your heart set on so that you don’t have to. No more researching online on your Saturday mornings, hoping you’ll come across a diamond in the rough, because now you have a gem that can do it for you. Once you outline the features you want — from suburb, to aspect and view, to number of bedrooms — your buyer’s agent will search on your behalf using your criteria. The countless hours you’ll save by hiring a buyer’s agent can minimise your stress levels and maximise your chance of successfully finding the property you want – especially if you’re buying from interstate or overseas. Well, that applies to the property industry in a big way. Enlisting the service of a buyer’s agent can open you up to a wider range of properties, some of which may not be advertised on the market – now or ever. This puts you in a favourable position as you have access to deals unavailable to the wider public. If you’re looking to buy an investment property, this can be especially profitable in a hot market, as your buyer’s agent can pounce on deals before motivated buyers peddle prices up. Be honest: while you’re pretty good at haggling a discount on white goods at Harvey Norman, property is a whole new ballgame – and you’re a rookie. When you’ve finally found your perfect property you might think the negotiations will be a breeze, but the experience can be far more intimidating than you anticipated. A buyer’s agent acts without emotion on your behalf, and so will be able to negotiate better terms on that deal for you. They have much more local knowledge on what makes a fair price in comparison to the current market. Plus, they’ll ensure you don’t risk spending too much on your prized property purchase. The additional advice and expertise provided by a buyer’s agent can also help you make sure you’re not getting yourself into a lemon of a property. 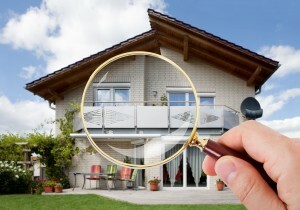 While a home might seem perfect on the outside, a buyer’s agent knows what to look out for in terms of hidden issues that you might not have otherwise recognised. Your buyer’s agent will also ensure the property you end up with is well-aligned with your specific wealth creation goals and investment strategies. Searching for a renovator so you can add value, but get seduced by the bells and whistles of a new build? Your buyer’s agent can keep you on track and remind you of your goals. That way you won’t be enticed by deals that may be good value, but they don’t quite match your needs. 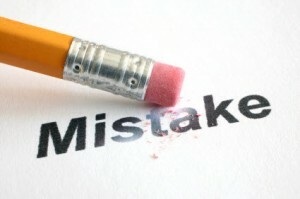 Purchasing property can be a risky venture and there are plenty of mistakes that can be made. A buyer’s agent will help by steering you away from making the most common mistakes throughout the whole process – from researching property to signing the contract – as they’re able to identify any potential red flags before it’s too late. This is especially helpful if you’re planning to bid at auction, which can be an intimidating process. Having someone with the skills and know-how to successfully bid for you can put you steps ahead of your competitors and take a lot of the pressure off. 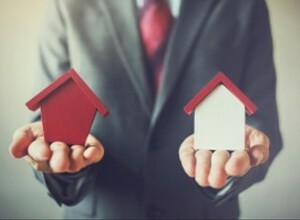 While you might be inclined to avoid spending more money than you have to during your road to owning property, enlisting the help of a buyer’s agent is a hugely worthwhile payoff. The results you can achieve from working with qualified professionals far outweigh the costs, as they can save you time, money and stress — and start you on the best path towards property success.